The 07-09 R1200 "Hexhead" series have some changes not currently covered in the R1200DVD. I intend to rectify this by posting the updates to these and the various bodywork and tank removal/installation procedures in the "Pictorials and Info" section of this site, see the header link. 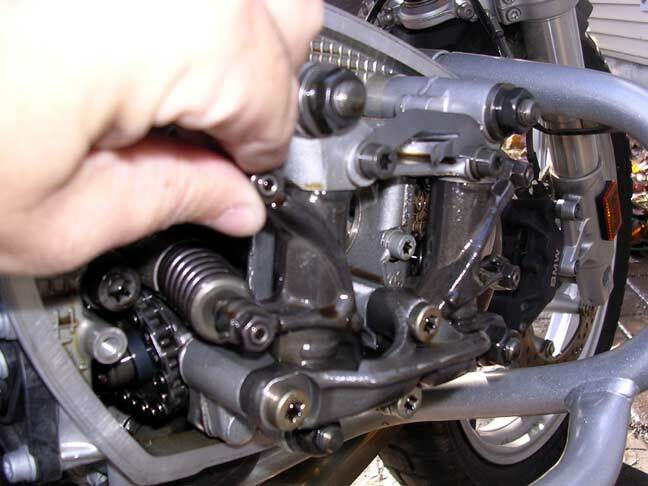 Note that all current specifications, except the brake flush and Final Drive procedures are still correct for the late 07-09 R1200 series bikes with non-Servo ABS brakes. The main difference in the 2008+ final drive process is that you no longer need to drop the final drive, as the drain is at the 6:00 location. If you have a bike in the DC Metro area, and would like a free demonstration and assist with complete service, please contact me at: JimVonBaden@msn.com and we will work out a time. * The 2007+ R1200 Brake Flush is now here. * The R1200RT bodywork removal is now here. * R1200GS Adventure Tank removal. 2006-2013, mostly the same through the years. Here is a link from ADV Rider: Link Thanks to aGremlin for the write-up! Update information for the 2007+ BMW R-series "Hexhead" motorcycles.